It can be applied as-is to clean, dry, oil-free surfaces with a cloth, cotton swab, sponge, your finger... or thin it with paint thinner to create a paste, paint, stain or wash.
One tin of Gilders Paste covers over 30 square feet of surface area. Choose from 9 UV resistant colors which can be layered to create stunning and unique finishes and textures!" 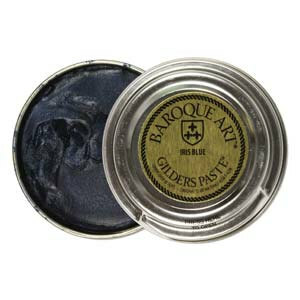 Art Beads has 2 great articles and a video on how to use Gilder's paste. Have fun experimenting with this fun medium!! !